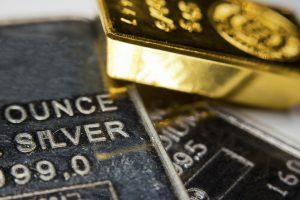 Gold and silver dropped sharply on October 4. There were several explanations for what caused the sell-off. Most of them involved some variation of a rally in the US dollar (an argument that doesn’t hold water), or technical explanations (which don’t account for the suddenness of the sell off). The big banks were desperate for cash, but couldn’t sell their troubled paper. They leased gold at cheap rates from the central banks, then sold it on the market. This pushed the gold price down. They then bought back the gold at a lower price and pocketed the difference. It was free money for the big banks provided by the central banks. The lower the gold price goes, the more money the banks would make by leasing and selling borrowed gold. There is, of course, a simmering banking crisis in Europe and the UK. At the centre of it is Deutsche Bank. It faces massive regulatory fines and has 7,000 legal complaints filed against it. It is also sitting on a mountain of derivatives and has only a thin capital cushion to protect it from a crisis. After the gold sell-off on October 4, Deutsche Bank Chief Global Strategist Binky Chadha said that gold was 20% to 25% overvalued. Any bank that leased gold, sold it and now has to buy it back would benefit if this happened. Would Deutsche Bank engage in such blatant market manipulation? Regulatory authorities thought so when they fined the bank over $3 billion in 2013 and 2015 for manipulating the LIBOR market. However, Deutsche Bank has not been charged with manipulating the gold market. It is also not the only troubled bank in Europe. Until the banking issues are resolved in the EU and UK through nationalizations, bailouts or bail-ins, holders of gold, silver and mining stocks, or ETFs/ETNs, need to be wary of future sell-offs. While a banking crisis can create sharp drops, these inevitably are followed by sharp rises because the gold that has been sold short has to be bought back. Adding to positions can be profitable after a period of this type of selling, as it was in November 2008.